Sana mag evolve ang basketbol sa pinas ng katulad ng format sa european football. Like sa england merong Premier League, which is composed of 20 teams. Under ng premier league may championship league, then division 1, then divisio 2. Every year may napropromote na 3 teams from championship league to Premiership. So, 3 teams din ang malalaglag from Premier league. Pwede talagang mag coexist ang PBA at maharlika league, where in the PBA is the premier league at ang MPBL ang 2nd tier. Mas existing ito kasi may chance na mapromote yung baranggay team nyo sa PBA di ba. Tapos yung talunan sa PBA e malalaglag sa MPBL. Ano tingin sa nyo? More than a hundred million pesos ang babayaran ng isang team bago makapasok sa PBA..
Yeah hindi nga possible sa ngayon. But I think the PBA concept is getting boring and it's losing its mass appeal (comparing to its popularity during the 80's and 90's). The MBA concept was great kaya lang hindi nila nasustain businesswise. With this maharlika league, mukhang pangmasa talaga. Makakarelate ang mga kabaranggay mo. I hope in the future maipattern natin ang philippine basketball sa format na gaya ng sa european football. May team na kami sa South. Ayus lang yan! To be honest di ko nanood ng PBA never ko nakakitang PBA game. Pero itong MPBL, maybe. Kasi itong PBA ang suppotahan mo lang ay mga sponsors meralco, Talk and Text, Ginebra, ganun. Pero itong bagong concept nato. Sinuportahan mo ay yung Ciudad mo atsaka saan ka pinanganak at tutubo sa bansa. Oh, diba!! Ako taga Mindanao dati. Siempre proud ako Mindanaoan. Sisigaw at supportahan namin. Bohol Tarsier, Cebu Whale sharks, Palawan corals. Davao Philippine Eagles , Agusan crocodiles, Surigao Surfs and coconuts..
“Siguro ito yung pinakamalaking chance ko para makapaglaro sa PBA,” says Aris Dionisio. ARIS Dionisio is shooting hard for the stars and he’s willing to make sacrifices to get there. The 6-foot-5 do-it-all forward is foregoing his final year in Naascu for St. Clare to focus on his stint with the Manila Stars in the Maharlika Pilipinas Basketball League. 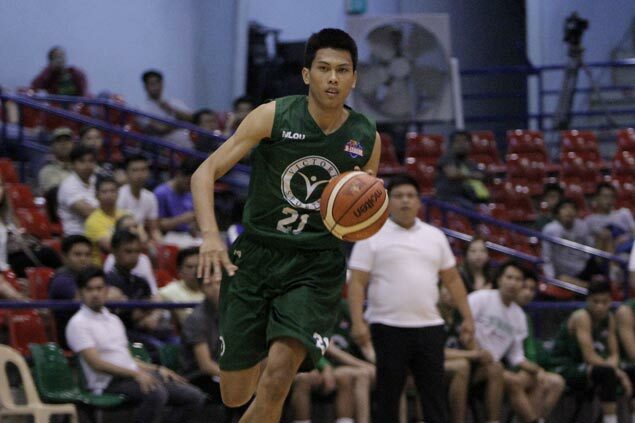 Dionisio won two championships with the Saints in Naascu under the tutelage of Jinino Manansala before showing that he can play against the big boys in his stints with Victoria Sports and Gamboa Coffee in the PBA D-League. “Ginive up ko na yun para makapaglaro dito. 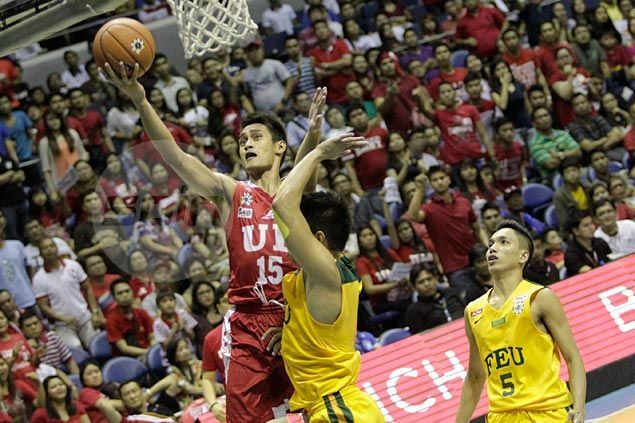 Maayos naman yung usap namin ni coach,” said Dionisio. “Siguro ito yung pinakamalaking chance ko para makapaglaro sa PBA,” he added. “Si coach Philip kasi coach ko dati sa PSBA. Nung nagbuo yung Manila tinawag niya ako kung pwede ba ako makalaro at available ayun, nagkasama ulit kami,” said Dionisio. He also hopes to learn quickly from a slew of PBA veterans in his team led by Roger Yap, Joseph Yeo and Reil Cervantes. Whatever happens, he vows to do everything in order to help his squad. “Sobrang saya ko kasi mga kakampi ko ngayon dating PBA at dati kong kalaban na magagaling, kasama ko na sila sa team,” said Dionisio. 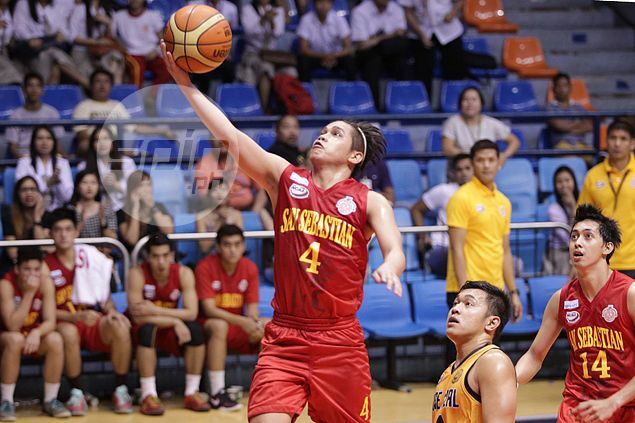 RYAN Costelo has decided to take his act to the Maharlika Pilipinas Basketball League (MPBL) instead of playing his final year with San Sebastian in the NCAA. San Sebastian coach Egay Macaraya confirmed Costelo is no longer with the team, but said he gave his blessing for the playmaker's move to the MPBL. Macaraya said it was also his suggestion to Costelo to play in the MPBL due to a pressing family matter. “Pinayagan ko na ‘yun kasi graduating siya. Dalawang araw na siyang hindi nag-practice pero as I’ve said, pinapili ko na siya doon,” said Macaraya. “Ako ang nagsabi sa kanya. Sabi ko, ‘Ryan, puwede ka na maglaro sa labas.’ Masyadong distracted siya. Hindi rin siya makaka-focus. Mas okay sa akin ‘yung desisyon niya,” he said. Macaraya said he doesn’t know where Costelo is headed but sources said Costelo has already signed up with the Muntinlupa team. Two San Sebastian players in Justin Mercado and Alvin Baetiong have also decided to play in the MPBL this year, while Renzo Navarro and Jayson David have transferred to Lyceum. Costelo was one of the point guards in the rotation of the Stags, averaging 6.3 points, 2.4 rebounds, and 3.0 assists in NCAA Season 93. Costelo’s will be a great opportunity for his other point guards to step up, Macaraya said. “Ang iniisip ko, mabigyan ko rin ng chance ‘yung mga bago kong point guards. Wala kasi kaming luxury katulad ng ibang schools. Ang sa akin, kung pupunta kayo sa amin, sigurado ako na gusto niyong maglaro. Magte-train na lang uli kami ng mga players,” Macaraya said. 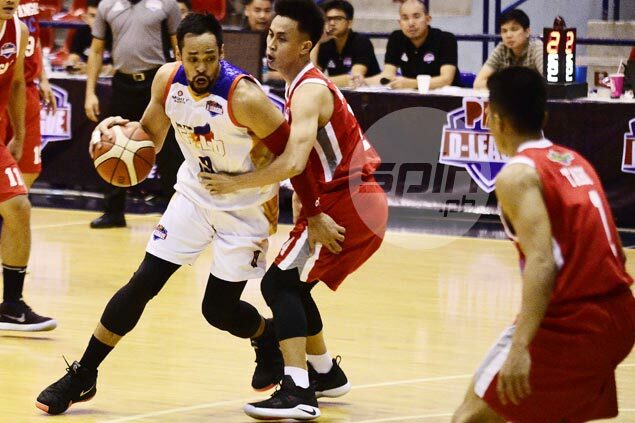 JERWIN Gaco maintains that there’s no conflict for him as he goes on double duty in the PBA D-League and the Maharlika Pilipinas Basketball League (MPBL). Gaco suited up for Go for Gold when it made its conference debut in the 2018 Foundation Cup, taking the 88-75 victory over Batangas. He will also play for the Imus Bandera in the 2018 Anta Datu Cup, which is set to open on June 12. Despite being 37, Gaco showed that he can still hang with his younger counterparts, finishing with nine points and eight rebounds for the Scratchers on Monday. And he wouldn’t deny that it was a statement game for him, especially after his contractual fracas in the MPBL. Gaco has been practicing with MPBL newcomer Manila Stars for two weeks and has already had a verbal agreement with the team management before abruptly finding out that he was cut from the team just last Friday, three days before the deadline for the submission of final rosters. Gaco couldn’t help but express his disappointment on what he felt was a wrongful treatment that led to him desperately looking for a team in the days that followed. “Nag-ensayo ako doon ng almost two weeks, nagkasundo na kami sa presyo, nagusap na kami, pirma na lang ang kulang. Pero ang labas sa akin, tinext lang ako na hindi na ako kasama sa lineup. Parang mali naman sa akin yun at parang ang unprofessional naman nilang kausap,” he said. “Sa totoo lang, nung nalaman ko yung ginawa ng Manila, sobrang sakit. Para sa akin, sana kinausap man sana ako ng maayos, hindi yung text lang. Para naman akong rookie sa kanila. Lucky for Gaco, Imus came knocking on his doors as coach Jerry Codiñera was quick to seal a deal with him. Despite what is perceived as him having divided attention between two teams in two separate leagues, the popular ex-pro promised that his game will remain the same whatever jersey he’s wearing and wherever league he may be. “Walang problema kay coach Jerry at coach Charles yung sitwasyon ko. Alam naman nila na ibibigay ko pa rin yung best ko kahit saan ako maglaro,” said Gaco, a five-time PBA champion. The Mandaluyong team is presented to the media on Monday. THE Mandaluyong El Tigre have vowed continuous support for guard Thomas Torres as he recovers from stab wounds he sustained in a parking lot brawl. Torres alongside former La Salle teammates Jeron Teng and Norbert Torres figured in a melee in Bonifacio Global City early Sunday where they came under attack from a middle-aged man bearing a ring knife. Torres suffered the worst wounds as he underwent a three-hour surgery which damaged his triceps on his right arm, putting his MPBL debut with El Tigre on hold for atleast four to six weeks. The good news is that Torres is now out of harm's way and is now on the road to recovery. "I was there in the hospital yesterday, I talked to him, talagang malalim yung sugat niya because pumasok yung kutsilyo sa right arm niya," said Cuan. "The diagnosis of the doctor is okay na siya, however he will be out for four to six weeks," he added. Torres is recovering quite well that Cuan expects the former La Salle starting guard to work on his conditioning while his wounds heal. "Within that four to six weeks, habang pinapagaling niya, he can run, he can do bikes, so he'll be working with our conditioning coach," Cuan continued. "He will do some running and conditioning habang pinapagaling. So by that time na maging ready siya after four weeks, hindi siya mawawala sa process," he added. 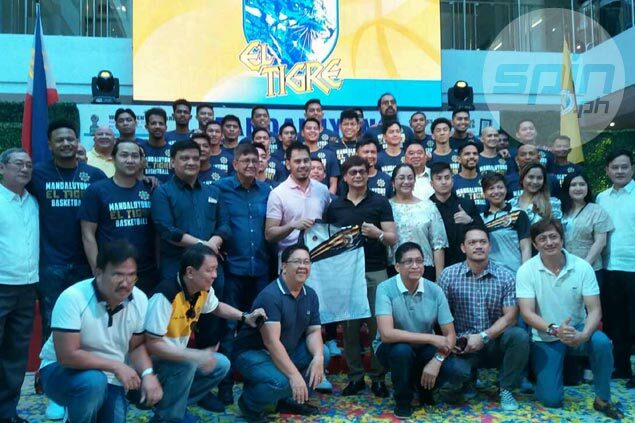 Torres is expected to play a huge role for El Tigre as he's set to lead their youth movement alongside two-time Asean Basketball League best local import Ray Parks and another former Green Archer in Prince Rivero. RAY Parks is not just another big name brought in by the Mandaluyong El Tigre for its maiden campaign in the Maharlika Pilipinas Basketball League (MPBL). The guy actually traces his roots to this city. Few people know that Parks spent the first few years of his life in Mandaluyong back when his dad, the late great PBA import Bobby Parks, was still active as Shell’s resident import. “Dito umuwi ang tatay ko paguwi namin ng galing hospital. I stayed here when I was born, then lumaki ako sa Paranaque,” said Parks. The fact that the two-time Asean Basketball League MVP was born here to a Filipina mother and speaks Filipino fluently only bolster his case to be considered a local under the MPBL's controversial 'one Fil-foreign player per team' policy. But he also recognized that the MPBL has the final call on the issue. 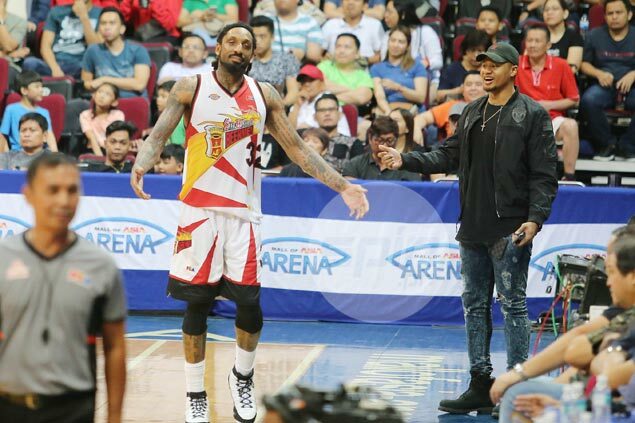 “At the end of the day, decision nila yun,” Parks said, adding that he believed his planned partnership with fellow Fil-Am and Alab teammate Lawrence Domingo at Mandaluyong led to the controversial decision. “Medyo skeptical nga e, meron din ibang mga cases na kinonsider sila na Pinoy. I felt like, malaking pangalan na Parks and Domingo yung nagsama, yun ang nag-trigger ng issue,” he added. Parks bared he's done talking about the controversy, but will stick to an all-black outfit during his debut season in the regional league. “This season I’m wearing all black. That’s it. I’m wearing all black,” said Parks without elaborating. Regardless of the issue, the 6-4 standout out of National University remains excited to finally play in a local league, especially with the type of reception he received at the Mandaluyong City Hall in their team presentation on Monday. “It’s always good to play here in the Philippines. They love their basketball, it’s the number one sport here. Just the reaction of the crowd this morning is great,” Parks said. “It feels good to get the support of the people around the city that’s the main purpose of it, just to promote the local talent. It’s a privilege to represent Mandaluyong,” he added. With a long season and the possibility of the ABL and the PBA seasons overlapping, Parks is bracing himself for what could be the busiest year of his career. “Stay healthy. Stay on top of my game. Especially since this league is just a league for me to grow. Work on things, try and figure out what I need to bring to the next level,” Parks said. BATANGAS City–Tanduay Athletics isn’t taking things lightly in the second conference of the Maharlika Pilipinas Basketball League (MPBL), continuing to add vital pieces to its championship-winning core. Head coach Mac Tan revealed on Monday that he added former University of the East gunner Bong Gallanza and a couple of veterans to add depth to a lineup bannered by Val Acuna, Lester Alvarez and Bong Quinto. “I added ex-pro Bong Gallanza, a couple of players from the D-League in Sandy Cenal and Lucas Tagarda which will be part of my rotation. May nakuha rin ako from CEU, si Jason Opiso which will be a valuable player in our team,” said Tan. “Yung homegrown namin, sana makahabol din sa system. Long season ngayon so ang sabi ko sa kanila, importante healthy when it comes to playoff na,” he added. Gallanza’s addition is timely for the inaugural MPBL champions considering that they’ll be losing Letran star Quinto for a couple of months to allow the bruising forward to focus on his final year with Letran in the NCAA. Tan knows depth will be crucial for any squad as the league expanded to 26 teams from the original number of 10 in the first season, making for a much longer season. “I’m not taking things lightly. We’ll be more serious, 26 teams ngayon from 10 teams, lahat yan naka-prepara. Of course na-scout kami. Yung core ko naman yun pa rin,” said Tan. The key is staying healthy in a long season, Tan said. “I’ll take it one game at a time. Yung pagaalaga sa player yun ang importante,” Tan said. “We need to keep the team healthy up until the playoffs cause it’s a grueling season.